Do you market to the 83% of consumers interested in Green features? On a recent LinkedIn post I stated “Did you know that only 17% of the consumer market has no interest in Green features? How are you marketing to the other 83%?” I thought I would expand on that here. There are considered to be 6 demographics of consumers that are interested in purchasing items that are “green”, this includes homes. Of those 6 only 1 group is uninterested for whatever reason in these features. That group totals only 17%! This means that 83% of consumers are interested in buying “Green”. This is a huge number. We already know that home buyers are in this number range. So the question is how do you market to these buyers? Odds are you don’t and neither is your competition. So it seems like an easy thing to do right? Not really because Reno doesn’t have many green homes. Builders are on track right now building more efficient homes but what about buyers of existing homes? Well the solution is to show homes closer to where people want to be or near public transportation. This can be a big saving on the impact on the planet and their wallet since they won’t have to drive as much. This often comes with a tradeoff of an older home that wastes energy. We all know we can make an old home more efficient. To do this right we have to set a process in motion. For home buyers it starts with getting an EEM or similar loan to do the energy upgrades. Then you call me. 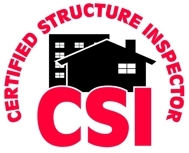 I’m a Licensed Energy Auditor and Home Inspector here in Reno. You get me in there to evaluate the home. I send the report over to a weatherization contractor and he puts a price to the work and sends it to the lender. The lender then moves forward with the loan and once the house closes the work is done in the next 60 days. Once the contractor is done he hires me to come out and “test out” his work to confirm the results. Then the money is released by the lender to the contractor and the buyers are on their way to a more economical, comfortable, and healthier home. They are reducing their impact on the planet and making a difference. Some real estate professionals are already taking advantage of this. Read my post about Solid Source Realty http://actvra.in/C9G or the one about the EEM Workshop http://actvra.in/D8Y. Lenders like Summit Funding and Guild Mortgage are already doing these loans on a regular basis and I’ve had several other lenders state they would do them. We have on average seen a 26% saving in energy costs on homes retrofitted with in the Energy Efficient Mortgage budget here in Reno. How can you not offer this as an option to your buyers?